Ambassador Philippe Lhuillier presented “Project Lifeline: Direktang Linya sa Embahada” to the Filipino community. “Project Lifeline: Direktang Linya sa Embahada”, another brainchild project of Ambassador Lhuillier, will provide easy, direct and immediate communication between the Embassy and the Filipinos, through the community organizations. While the Embassy has a 24-hour hotline number, this project engages the Filipino community organizations as partners of the Embassy in providing direct contacts with Filipinos, thus bringing personalized and accessible services to Filipinos. It has allotted three (3) dedicated numbers for assistance-to-nationals, consular services and community relations. It also allows a two-way communication traffic as the Embassy can also directly get in touch with Filipino organizations all over Spain and Andorra. However, one of the main features of the project is the provision of free mobile phones units with registered SIM cards for each of the 37-accredited Filipino organizations. The mobile phones were personally provided for by the Ambassador. 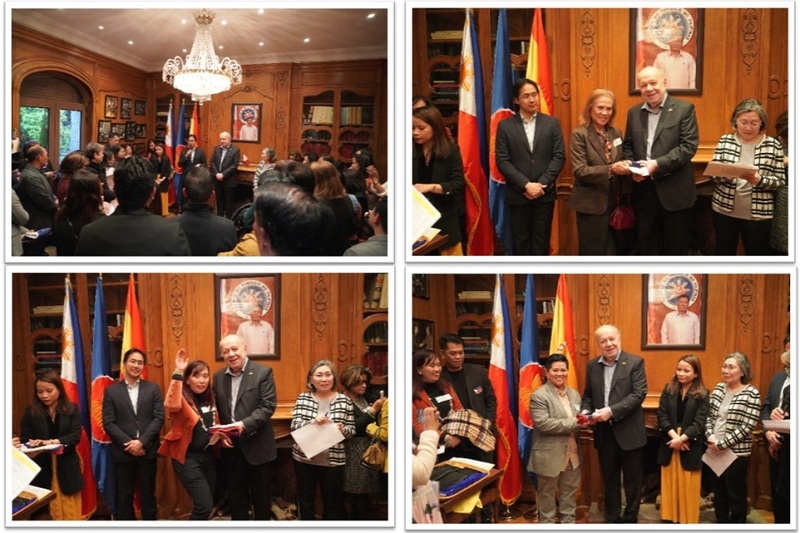 Thirty-four Embassy-accredited Filipino community organizations from all over Spain, including those from the islands of Spain, were present during the launching of the project which received overwhelming applause from the community. 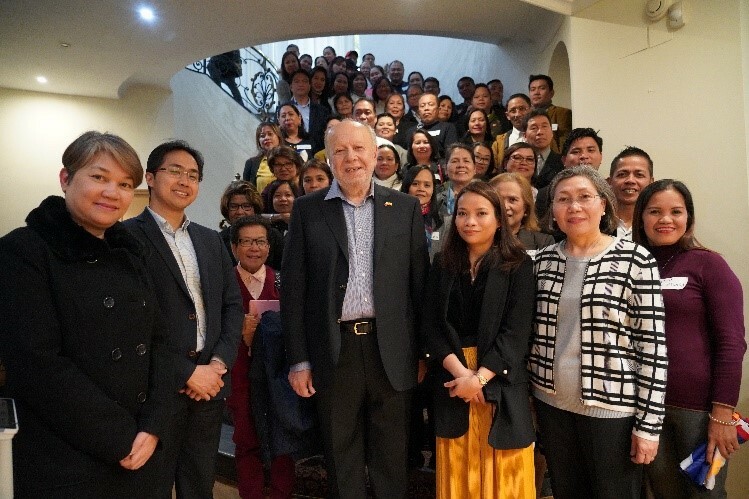 The community praised the Embassy´s commitment to serve the Filipinos and commented that the “Direktang Linya sa Embahada” project is so far “unprecedented”. In his remarks, Ambassador Lhuillier reiterated the Embassy´s commitment to “provide the best service to Filipinos as possible”. He also acknowledged the assistance of Filipino organizations, as partners of the Embassy, and encouraged them to contribute ideas to further improve the project. “Project Lifeline: Direktang Linya sa Embahada” will have two (2) phases which include, provision of mobile phone units to community organizations with dedicated numbers for its first phase. The project will also feature an Embassy application (Embassy app) which will feature information, services and various inter-active module that will be useful to the applicants, for its second phase. During the launching, the Embassy also provided Philippine flags and friendship pins to all organizations. 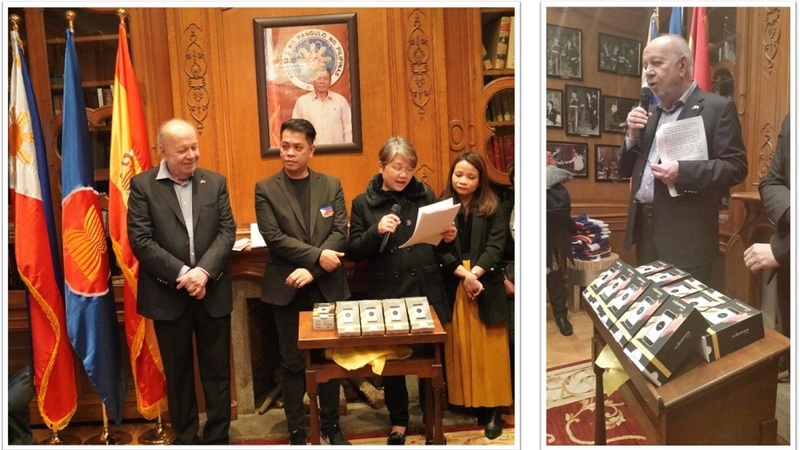 The “Information Handbook for Filipinos in Spain and Andorra”, which was also launched earlier this year as part of the Embassy´s information campaign, was distributed during the event.